joy magnetism: Even a bad day of fishing is better than a good day of work. Even a bad day of fishing is better than a good day of work. Picked today's magnet because I just got done with a chat-session with Josh, a fabulous customer service guy. I know! How weird! 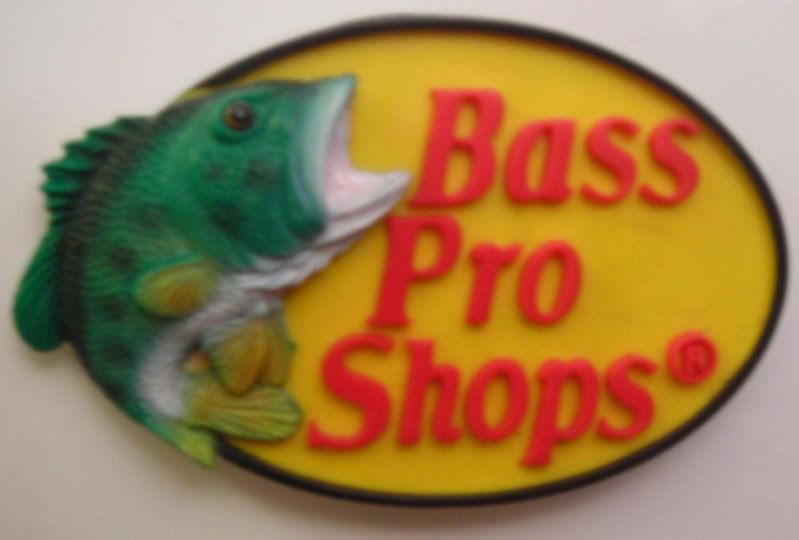 I have a Bass Pro magnet! A friend of mine brought it back from one of his trips, thinking I'd never heard of it. Hehehe, little did he know. Still, it's a funny little magnet to have in the collection. So, the reason I was online with Josh, was because almost a full year ago, I bought my dad an online gift certificate for new fishing gear. Which he promptly lost, after lying to me that he already used it (and was just covering, because he didn't know how to use it). What. Ever. while my poor dad is lucky if he catches a handful. what a great magnet! and story!! Hee. Thanks! And thanks for the magnet!